titanic on Vinyl.JPG. Details: 180 gram audiophile vinyl with gatefold sleeve with metallic embossing, 8-page booklet, poster, and print/replica of historical newspaper front-page. First time on vinyl. 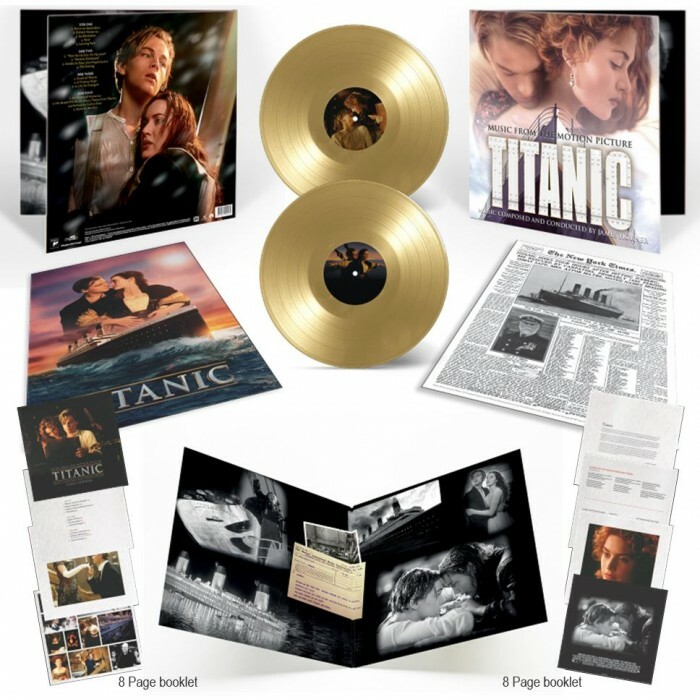 First pressing of 1,500 numbered copies on gold vinyl.. Wallpaper and background images in the titanic club tagged: photo titanic. This titanic photo might contain toca discos, plataforma giratória, jornal, papel, revista, tablóide, pano, and tabloide.